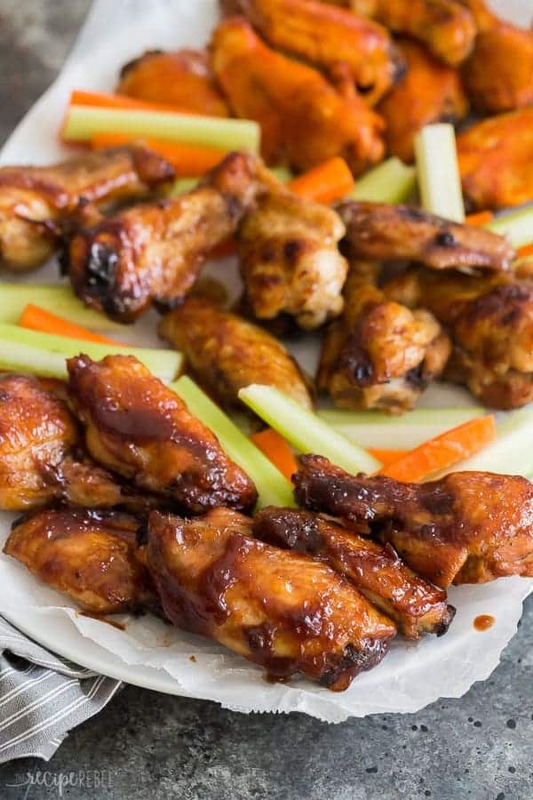 These Crockpot Chicken Wings are crispy on the outside but still moist & tender! With Buffalo, BBQ and Honey Garlic options, there’s something for everyone! 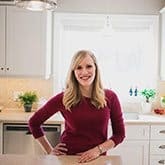 Let me just say that when I started planning and testing crockpot chicken wings for this post, my husband couldn’t have been happier. For me? The easiest to cook and eat usually wings out. That means boneless chicken breasts, ground beef, other boneless meats that are easily prepared. Things you can almost cook blindfolded (though I don’t recommend that!). So what I do when I’m faced with something I want to make well, but always want to make easily? 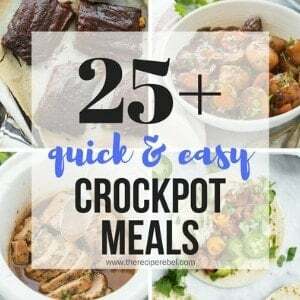 I bust out the crockpot. These Crockpot Chicken Wings are ridiculously easy because you don’t have to overthink the cook time. They’re going to be super tender and juicy in just a few hours, but you will still get that crispy skin after a couple minutes under the broiler. 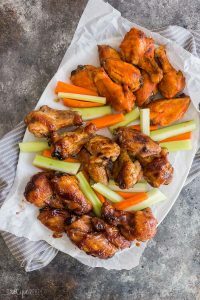 Normally, I try to avoid adding in extra pans or cooking methods when I’m making something in my slow cooker or Instant Pot, but for these crockpot chicken wings, I really think we need both. 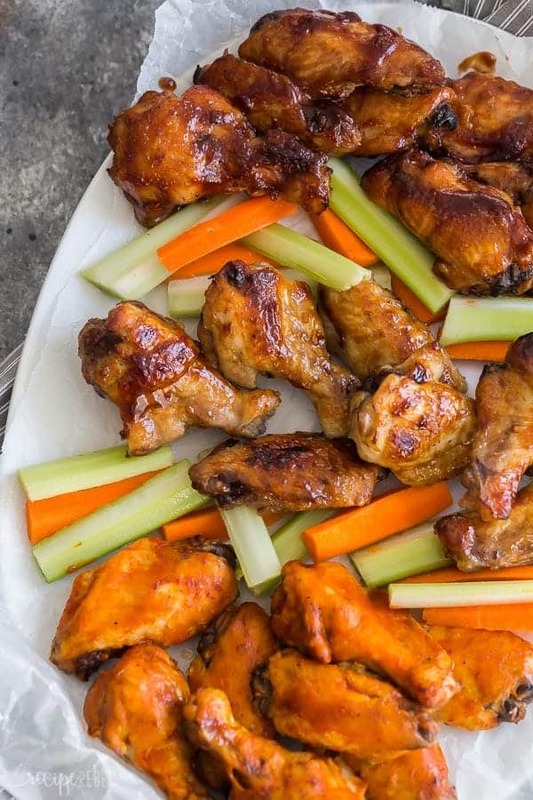 With the Superbowl coming up and other game days, parties get togethers or movie nights always on the calendar (I mean, if you don’t have 3 kids 6 and under like we do 😉 ), these slow cooker wings are a lifesaver. Need to keep these Crockpot Chicken Wings warm for a while? If you happen to be bringing these chicken wings to another location for your big celebration, simply save the tin foil boats that you cooked them in (all of the juices are completely cooked so there is nothing to worry about! ), and throw the broiled wings back into the crockpot for the ride over. You can keep it plugged in on the warm setting to serve and that way no one has to eat cold wings! Fresh or frozen chicken wings? Let’s be honest, I love in the middle of nowhere and most of the meat I buy goes directly into the freezer for another day. I like to stock up when things are on sale so I always have food to pull out for another day. I don’t recommend cooking chicken wings right from frozen because they will release quite a bit of water into the sauce which will dilute the flavor significantly. To thaw quickly, always make sure you freeze in a single layer in freezer bags, then submerge in cold (but not ice cold) water in the sink for 20-30 minutes, checking often to ensure the water is cold and removing the chicken wings as soon as they are thawed. What are the different sauces on these Crockpot Chicken Wings? Personally, I don’t love spicy food. Okay. I’m a total wimp. You can definitely make your own bbq sauce here, but I choose to just grab a bottle of my favorite store bought sauce. Anything that you enjoy will work well here! For this recipe I whipped up a super simple honey garlic sauce with just a few ingredients. If you want to save even more time, you can definitely grab a bottle of honey garlic sauce from the store. For these, I grabbed a bottle of Frank’s. I mean, what else are you going to put on them? 😉 There are lots of different flavors of hot sauce available, some sweeter or milder or hotter, so grab what you think you will like the best. Looking for more game day appetizers? 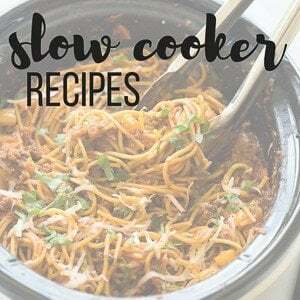 I have big love for my 2.5 quart casserole crockpot — it’s nice and shallow so people can see what’s inside and it showcases the food beautifully! It’s also available in a 3.5 quart size if you’re going to be making a lot of wings. These Crockpot Chicken Wings are crispy on the outside but still moist & tender! With Buffalo, BBQ and Honey Garlic options, there's something for everyone! In a medium bowl, whisk together honey, soy sauce, corn starch, sugar and garlic. Lightly season all chicken wings with salt and pepper. 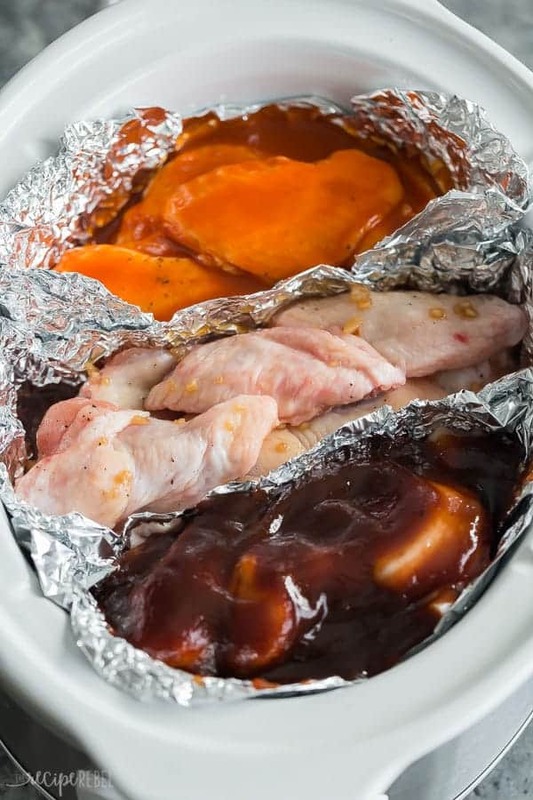 Fold a large piece of tin foil in half (this will make it stronger and prevent leaks), then form a "boat" or pocket for the chicken wings to cook in in the crockpot. Repeat two more times for a total of 3 tin foil pockets that fit snugly in a 4-6 quart crockpot. Place 8 chicken wings in each foil pocket. 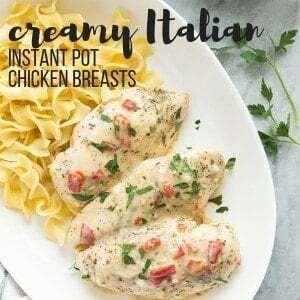 Reserve 2 tablespoons from each of the 3 sauces, then pour remaining sauce into the foil pockets over the chicken wings, one flavour in each pocket. Cover and cook on low for 3-4 hours until cooked through (an internal temperature of 165 degrees F is reached). Place on a rimmed baking sheet lined with parchment paper, leaving some separation between flavours. Brush chicken wings with reserved 2 tablespoons of each sauce. Broil for 3-5 minutes, until crisped and starting to brown. Serve.